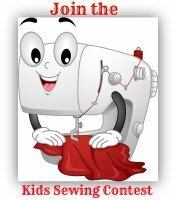 Kids sewing lessons intermediate level. 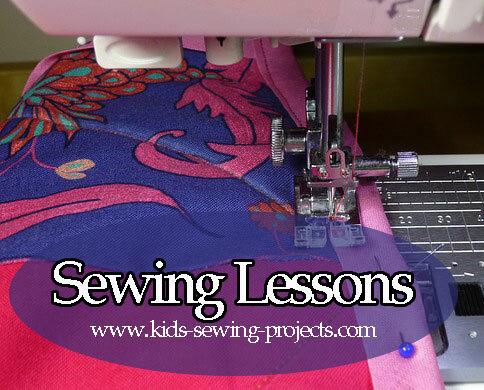 The recommended age for the kids sewing lessons, intermediate level, is 13 and up. However, each child is different so the age is a rough guideline. 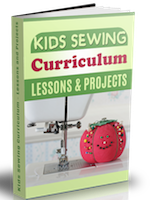 If you are just joining kids sewing lessons, look through our past lesson levels before starting this level, regardless of age. 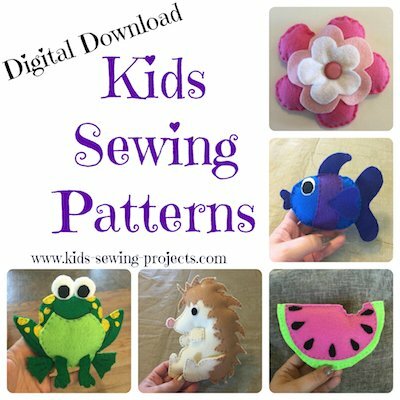 See these 10 Tips for Teaching Kids To Sew. This is an easy way to finish off a project. In the future, you may do these along with a zipper on skirts or pants or you can add them to a pocket, this it what we will practice today. Hooks and snaps are easily sewn to an item by hand sewing. You can also buy snaps that are attached with a special tool. 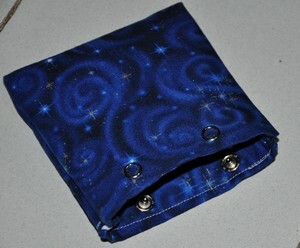 We are going to do a simple project such as a coin bag and add a snap to close it. Other ways to practice different fasteners are to add a snap to a button on your shirt, or add a hook and eye to a skirt that has a small gap above the zipper. Each machine is different when it comes to sewing a button hole, so check your sewing manual for directions. Then make a drawstring bag. We've done this before in a previous level but we are making a slight change. Facings/ interfacings will probably come up once you start using patterns for shirts or pants. Interfacing makes collars or waistbands stiffer and stronger. They can also make tote bags and purses stronger. You can do any of these tote bag projects and add an extra step of ironing on interfacing to the inside of your bag. Also try this easy needle book with pages project. Learn how to sew on a zipper. These can be tricky, so have lots of patience. Just remember that it's okay to make mistakes. It is part of learning how to sew. Look at your sewing machine manual to see how you sew a zipper on your machine. Before you finish your zipper bag, you should practice putting in a zipper on a piece of scrap material. Pinning the zipper in place will help. Sew slowly. 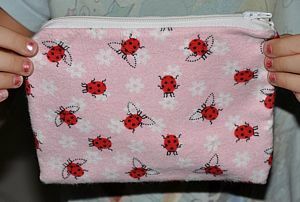 Finish the Zipper Bag Project you started in the previous lesson. Pick out a more complex pattern that has zippers or buttonholes. Choose your material and work on your project before moving on to the next lesson. At this point, you can try whatever you want and learn from there. A lot of learning to sew is trial and error, learning your basics and putting it to the test. I've been sewing for a long time and still make mistakes. Some patterns still baffle me and some steps are still confusing. Learn the basics and the other things will come with practice. There are a lot of fabric notions you can buy to embellish your clothes you have already. Add lace or ribbon to an item of clothing, mix and match with fabrics or patterns. You have the skills, now you can play with designing and creating. 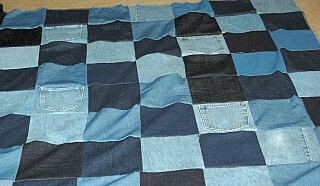 We are going to take the sewing knowledge you have now and learn a little about quilting. Try any of these projects. Now that you are an intermediate sewer consider sewing something for charity! Do you have a Sewing Project to Share?